Gold, the face of opulence, was the favored hue in this decade of ostentatious display. The byword of the 1920s was: "if you've got, flaunt it." "It" could be money, style, or beauty; preferably all three. 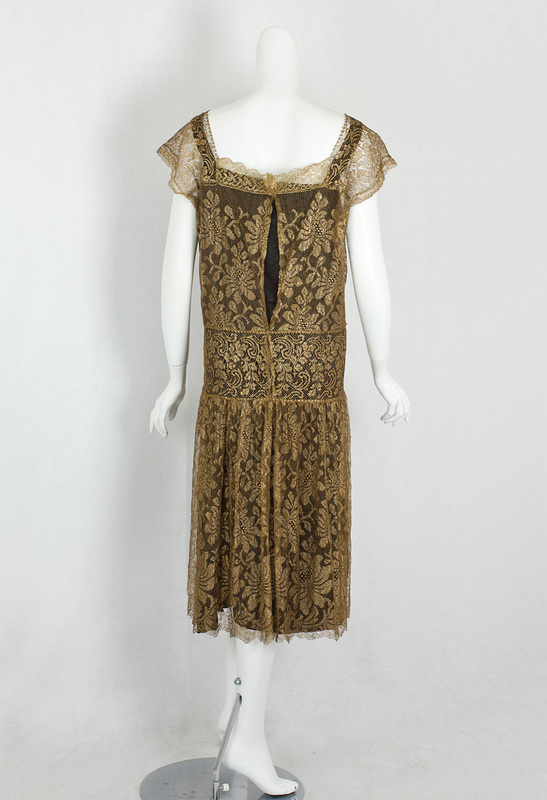 Our brilliant dress conveys the sumptuous gilded 1920s look. The torso of the dress is straight to the hipline. The fullness of the skirt is softly gathered on the sides and in back. 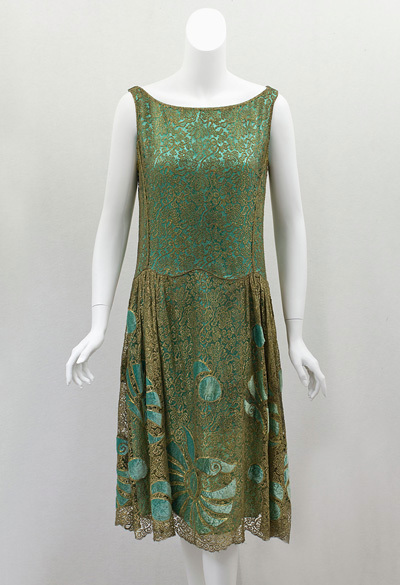 Even as late as 1925, the floral design shows the influence of Art Nouveau with its intricate curvilinear motifs, whose subtle elaborations have a memorable beauty. 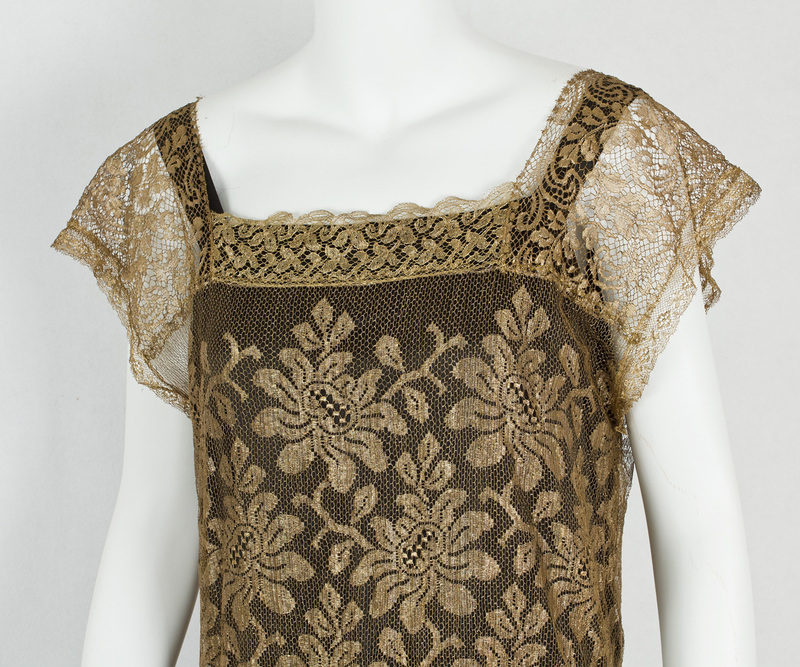 Gold metallic lace has a mellow beauty not found in modern synthetics. 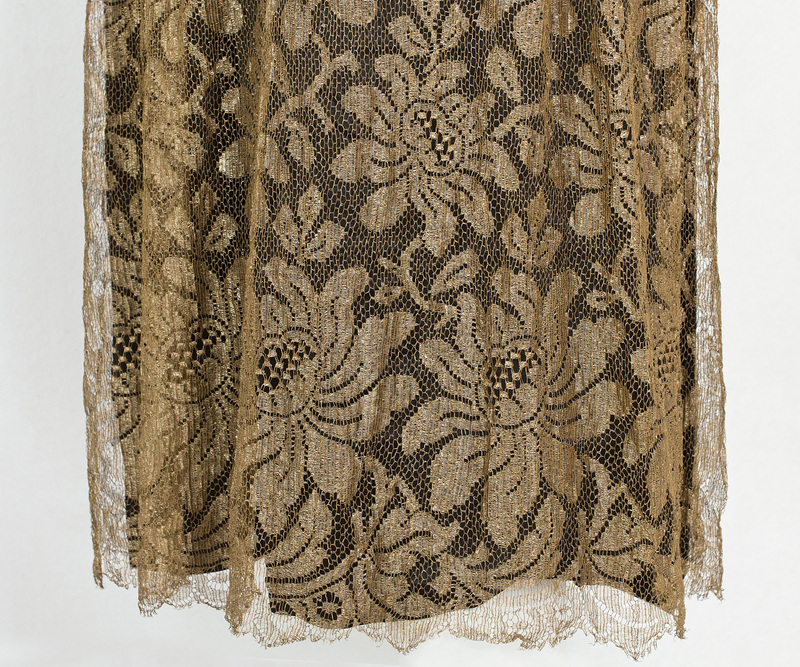 The burnished patina in the antique lace is the tribute that time pays to beauty. 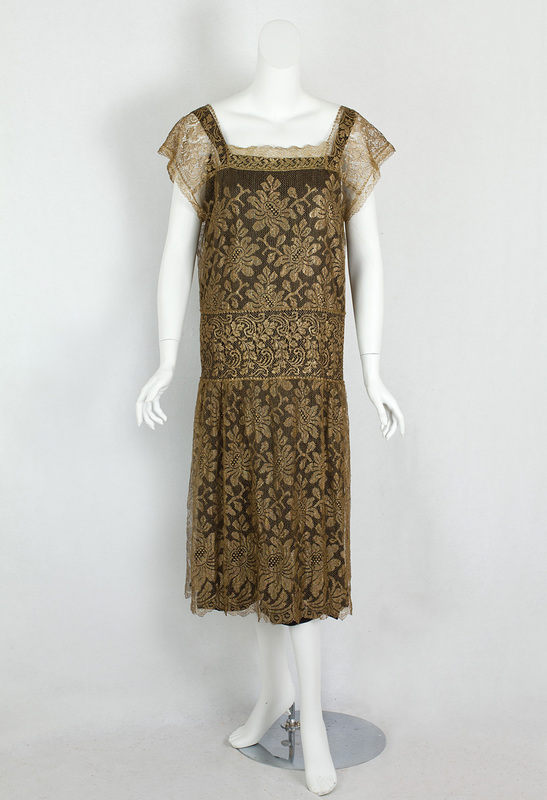 The incandescent beauty of the lace personifies the dazzling splendor of late 1920s fashion. 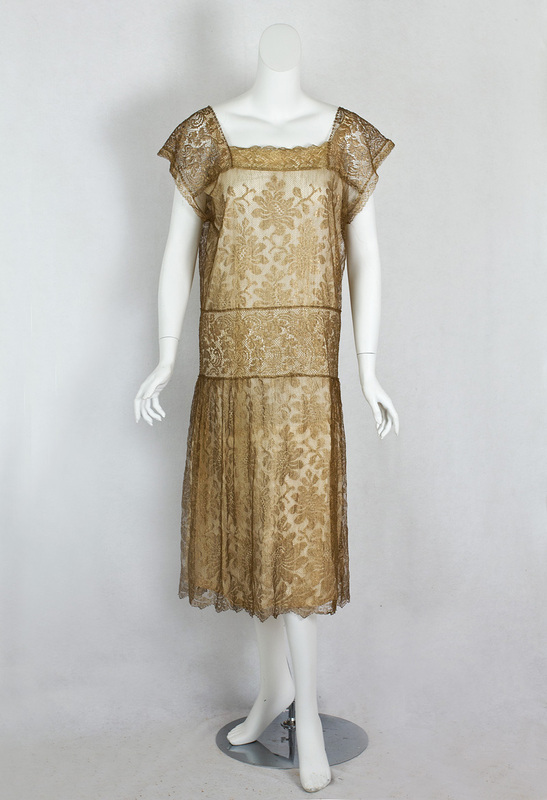 The simple uncluttered style showcases the delicate lace. The original slip—now missing—may have been of matching gold or a contrasting color. To understand how your color choice will affect the look, please review the pictures of the dress over an ivory slip and a picture of another gold lace dress over a green lining. 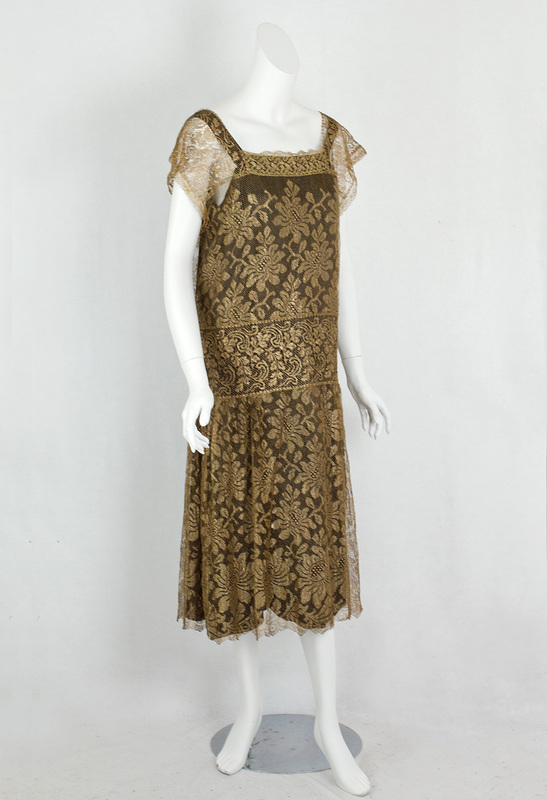 I will include the black slip in the pictures although it is not original to the dress. The condition is excellent and wearable. 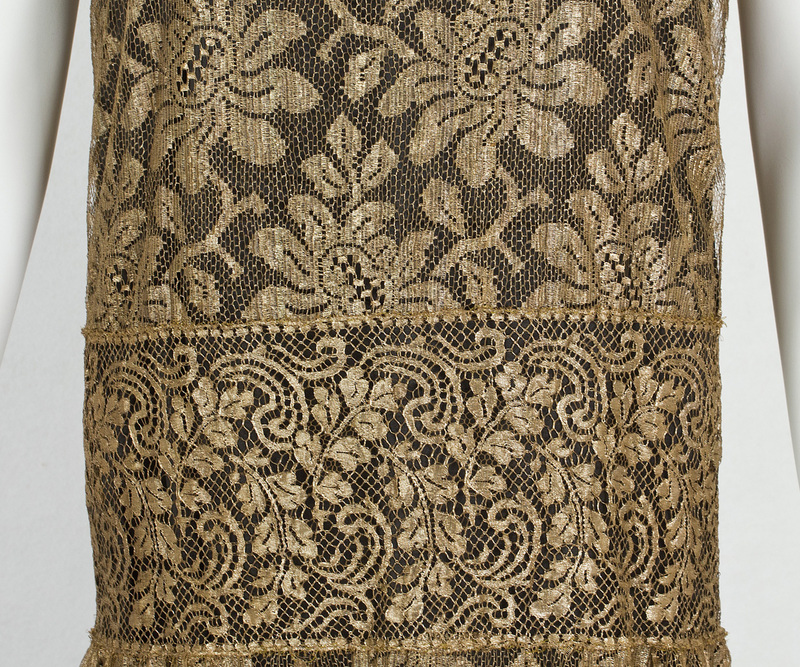 The back opening of the dress is not original. It measures: 42" bust, 36" drop waist, 60" hip, and 46" from shoulder to hem.